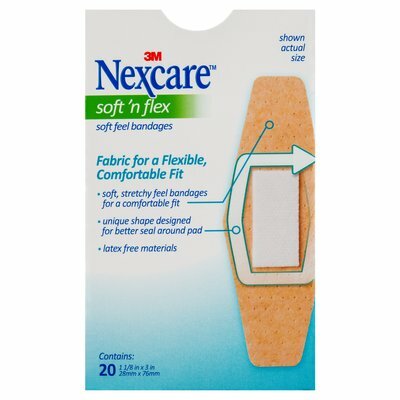 Nexcare™ Soft ‘n Flex Strips are designed for ultra comfort and performance. The strip features a stretchy, thin fabric that bends and moves with you and a soft, breathable material that make it ideal for everyday activities. 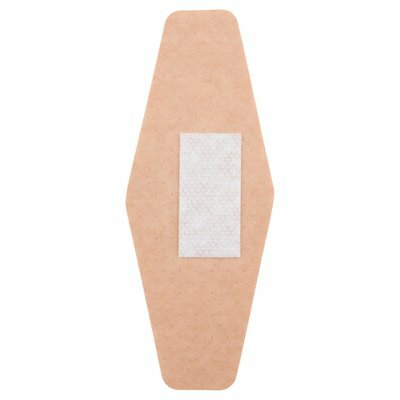 Latex free materials. 20 per pack. Ideal for yoga, computer work and light outdoor activities. The diamond shape and 360-degree seal keep out dirt and germs that may lead to infection. 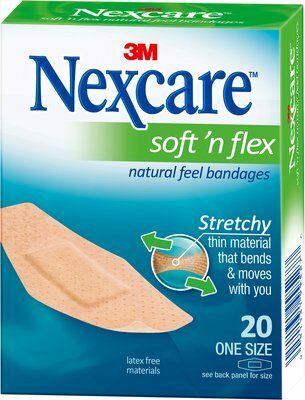 A must-have for any first aid kit, Nexcare Soft ‘n Flex strips are perfect for treating minor wounds such as cuts, scrapes and blisters. Made with latex free materials.